You already know that using promotional products is a great way for your clients to break the ice with their potential customers. Getting a customer’s attention up front and keeping it, means your clients will return to you for new product ideas. Adding promotional products into the mix of marketing initiatives increases the effectiveness of a client’s brand up to 44%. This is the power of statistics: they show important trends. Discount Marketing Products, Inc. is a B2B supplier of marketing display products for distributors in the United States. We are a value-driven supplier of custom-printed marketing display products, and we are a recognized leader in the industry. Businesses need promotional products as a cost-effective way to reach more potential customers. It is a low-cost way to drive customers to your business. From small to large business, free “give-aways” are marketers’ favorite way to reach out to others. This is just one of the reasons we work closely with our distributors. We want to see them experience success by helping their customer’s brand message move to the front of the line! Another reason we want to work closely with you is because in the US, 8 out of 10 consumers have one to 10 promotional products. Six out of 10 keep promotional products up to two years. This is why we are highly motivated to offer high quality products at affordable rates. We know that potentially 85% of the people you do business with are return customers and we want you to be a return customer, too. Our focus is on our clients — the people who are working with others to create a leading edge image. Their need for exposure and quality comes first. We lead you through the buying process and help you understand your best options to deliver a strong impact for your customers! Our comprehensive product line of event display products is exclusively sold through qualified distributors and resellers. You pick the items that are not only useful but unique and are high quality for a bold impact. Take a look at our extensive portfolio. Our mission remains to provide the promotional industry’s best value for marketing display products. We are a hands-on company. Every step of the ordering process is easy and hassle-free. We include customization and quick delivery of custom-designed and hard-to-find event display products. Our team will tailor all of our products to any client’s needs and requirements. We set a goal to be extremely approachable, knowledgeable, dependable, and trusted. We custom-print high quality marketing display products while providing affordable wholesale prices. And our experienced team will work out a creative strategy for you that brings results for your clients. 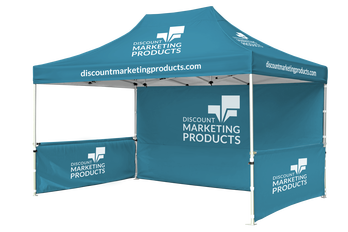 The team at Discount Marketing Products is committed to satisfying any company’s strategic branding requirements by delivering quality products, outstanding customer service and the most competitive prices in the market. By supporting our customer’s reputation with their clientele, we are committed to offering highly-competitive pricing while providing unparalleled reliability and fairness. 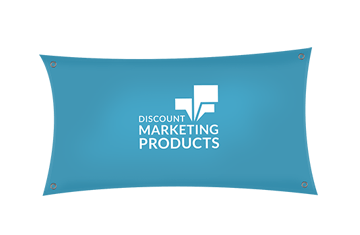 Take a moment and learn even more about the Discount Marketing Product difference.